First referred to as Punta de Agua (point of water), Long Lake and now Lubbock Lake, this landmark may not seem significant at first glance, but if you look a little further, or should I say dig deeper, you’ll see stories from thousands of years past that are highly significant to this region and even the nation. 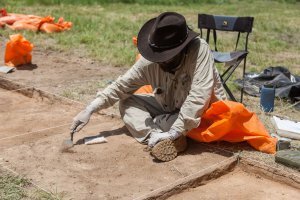 Smithsonian Magazine even declared Lubbock Lake Landmark as one of the top five places to see evidence of early Americans. This abundant ecosystem once provided food, shelter, tools and clothing to those who traveled across vast Southern High Plains. 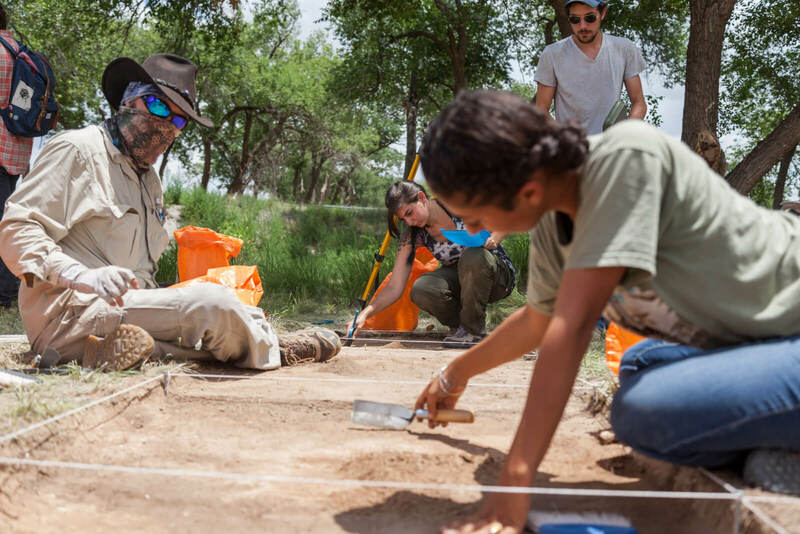 Since the accidental discovery of evidence of early Paleoindian people in 1936, decades of preservation, research and interpretation from the Museum of Texas Tech University has produced a nearly complete record of human activity spanning 12,000 years. Because of this, Lubbock Lake Landmark is listed on the National Register of Historic Places. Dr. Johnson and her team showed us their comparative collection. 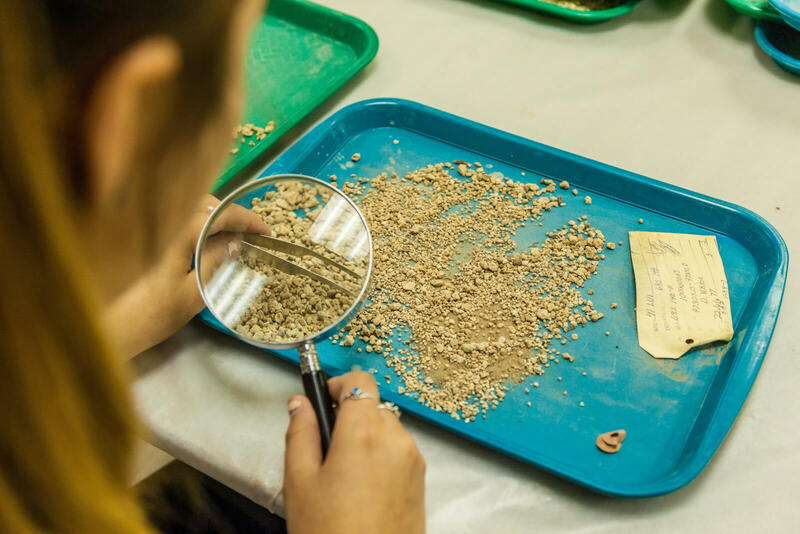 This local attraction is among Lubbock’s most popular, and the opportunity to observe archaeological excavations and learn about ancient animals that roamed North America is always a highlight for visitors. This July you can look forward to one of the landmark’s most popular events of the year, Archaeology in Action (July 22, 9 a.m. – 3 p.m.). One of the team members working in the research lab that visitors will be able to see at the Archaeology in Action event. Dr. Eileen Johnson, Director of Lubbock Lake Landmark and Chief Museum Officer for the Museum of Texas Tech University, gave us insight into what people can expect to learn and see when visiting Lubbock Lake Landmark and Archaeology in Action while she and her team are digging at the site. She was originally led to Lubbock Lake Landmark when she was a graduate student. Her mentor at the time, who had just become the new Director of the Museum of Texas Tech University, asked her to move to Lubbock and oversee Lubbock Lake Landmark. She was in shock, not only because of the experience such a position requires, but also because Lubbock Lake Landmark was well known in her field. In fact, it was quite a big deal. Why is Lubbock Lake Landmark so significant? Dr. Johnson explains that from what was once thought to only be a 30-acre area of research has now grown to 300 acres. It is one of the largest hunter-gatherer sights in the new world. It tells us about the past, its people, the climate and the environment. Dallas Ward, crew chief to what’s known internally as “Area 8,” showed us the site they will be working on for six weeks, and what visitors will see while attending Archaeology in Action. 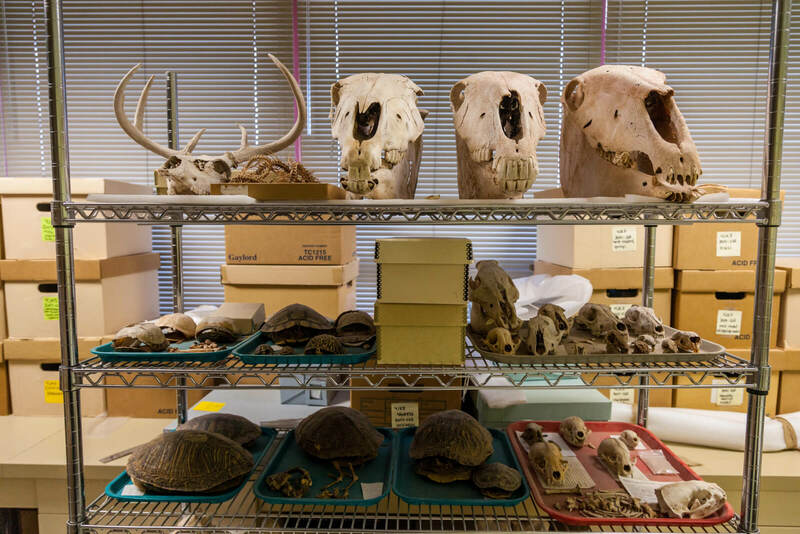 During that time, visitors will also be able to go into the research labs to see some of their most significant findings and learn about the research process after a dig is closed. 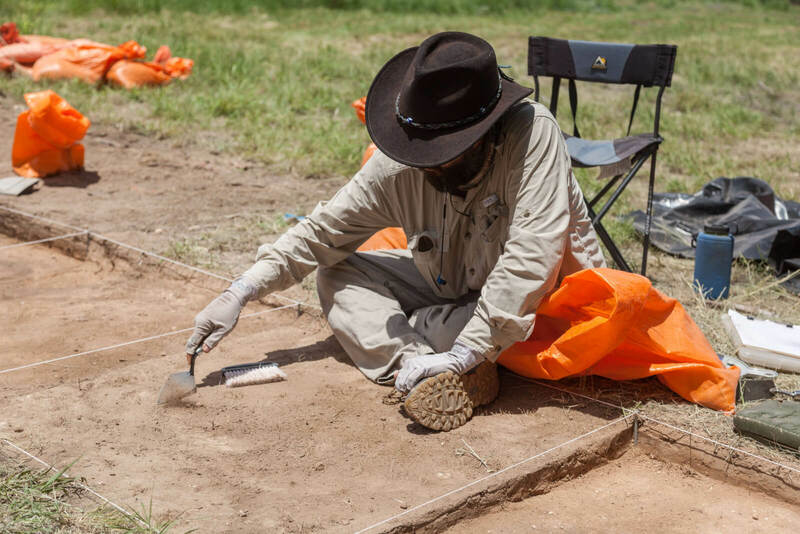 Archaeology in Action is a way for the Lubbock Lake Landmark to share the significance of its findings with the Lubbock community. The event allows visitors to not only see what the archaeologists do, but to speak with them and learn about their process, but mostly to provide a better understanding of the importance, longevity and heritage of the region. The crew team working on area 8 that will be shown at Archaeology in Action. 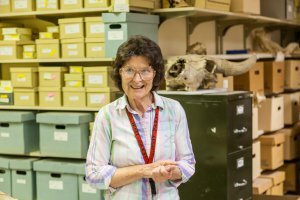 Susan Rowe, education program manager and volunteer coordinator, plans Archaeology in Action every year. She gave us the inside scoop on the details of the event and what to be prepared for. There will be three tour times throughout the day: 9 a.m., 11 a.m. and 1 p.m. This is the best way to see the dig site and hear from the crew themselves. There will be plenty of activities for adults and children including spear throwing and dig boxes to practice archaeology for yourself. Her best advice is to dress for the weather, don’t wear sandals or flip flops, come hydrated and stay hydrated throughout the event and bring bug spray. Be prepared for walking. In order to grasp a greater understanding of where we are going, we must understand where we’ve been. Lubbock Lake Landmark provides an expansive explanation for these stories, the struggles, the triumphs and everything in between. Don’t forget to share the prehistoric fun with us with #LiveLoveLubbock!